Access your Lexus Financial Services (LFS) account with the myLFS application for iPhone® mobile devices. The myLFS application allows an existing Lexus Financial Services customer to make a payment or obtain payoff information on an existing Lexus Financial Services account. 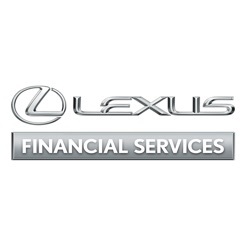 LFS account holders may either register for account access from this application, or use existing login credentials registered on lexusfinancial.com. Based on your feedback, the myLFS application has been enhanced to provide you with a better experience. Lexus Financial Services is a division of Toyota Motor Credit Corporation (TMCC) and a service mark used by Toyota Credit de Puerto Rico Corp. TMCC is the authorized attorney-in-fact and servicer for Toyota Lease Trust. After reading other reviews, I decided not to update my previous LFS app. It updated me anyways. So here is what changed: when you sign in the first time, it will not let you use your touch ID. After entering your id and password, it asks security questions. After that, it generally locks up. Finally got through today without a lock up and used my touch ID. Still asked security questions. Fine. Pressed “Account” to get around it locking up again, and made the payment as usual. But before it would process payment, it required last 4 of social. For heavens sakes!?? I didn’t go through that many security bumps to get the loan!! What is someone with bad intentions going to do? Pay my Lexus payment for me? If someone wants to do that, feel free and I will put you on my Christmas Card list. They made what was a moderately well-working app into a CIA approved concoction of identity steps... for absolutely no reason I can comprehend. Plus- it still locks up!!! Talk about throwing out a beta test to all your customers and see what sticks. I’ve read a lot of reviews here stating fingerprint login issues and account information not showing up, I’ve had a completely different experience. I set up the fingerprint login the first time and made sure to turn off the option to ask me for my security question every time. Using the fingerprint login has worked flawlessly every single time I’ve used the past few months. All of my account information has shown up and has been up-to-date every time I’ve open the app. This app is great for me to login and see my previous payments, interest, and total payoff information in literally five seconds from opening the app. Just got my brand new IS 300 and everyone kept explaining how easy everything is with apps from starting my car to GPS and paying my bill and while the other ones can be a bit frustrating this app is the worst of ALL. It literally freezes, doesn’t let you type. I wish I could tell you what the app looks like beyond the registration and sign on screen because I would not know since it just keeps freezing up. I hope they fix this. All of these apps make me want to tell people run the other direction to another car brand and don’t look back. On top of the things wrong with my car in the first two weeks of having it.